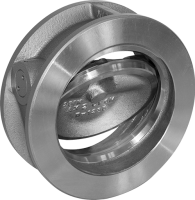 For over 70 years SOMAS has developed and produced valves made of stainless materials. Today SOMAS is stronger than ever with a large product portfolio and a state of the art production-environment. We strive to continuously improve and develop our products in order to meet new requirements, present in different business areas. We see new process medias being used, which in turn leads to new requirements in terms of materials used in our products. Thanks to our close collaboration with our customers within different business areas we continually gather valuable experience. This helps us to continue to deliver the best products we possibly can. 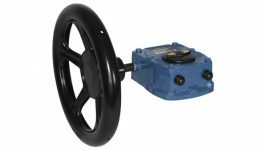 Our valves, actuators and accessories are suitable for most business areas. For more information, download our SOMAS Valve Guide which can be found here. SOMAS valves are developed for use in a wide range of different business areas. Our aim is that the materials and valve design chosen meet the requirements your specific field presents. Below you will find SOMAS valve selection. If you have any questions or concerns regarding which products are right for your application, do not hesitate to contact us for help. SOMAS ball segment valve is the optimal control valve. It is suitable for most business areas due to its high capacity and rustic design and is also service-friendly. 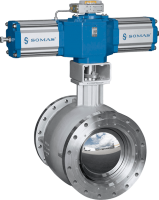 SOMAS butterfly valve requires virtually no maintenance. This is thanks to its unique design and the robust valve seat. It is suitable as both a control and on/off valve. SOMAS ball valve with its two valve seats is most suitable as an on/off valve. Its full bore results in low flow resistance in the open position. SOMAS check valve has a a high capacity and short closing time. 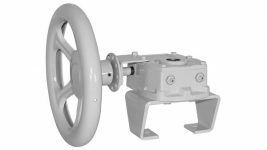 The valve is suitable for use in applications where fluids, steam and gases need to be handled. Several SOMAS valves can be used as control valves. Thanks to its design and the connection between the valve and the actuator you get the optimal capabilities for precise and accurate control. 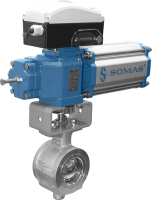 SOMAS offers several valves suitable for on/off applications. The valve shuts off the flow without leakage and has a low flow resistance in open position. SOMAS has a number of valves that are suitable as manual valves where low flow resistance in the open position is an important factor. SOMAS actuators are special. They have been specifically engineered to meet the process industry requirements for reliability and accuracy in regulation. 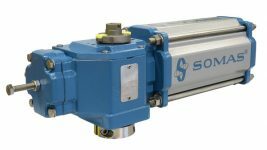 The actuators are first and foremost intended for use with SOMAS valves, they can however easily be adapted for use with other valves demanding a 90 degree arc of operation. We have eliminated any backlash between the moving parts of the actuator or between the actuator and the valve. This has created the neccessary prerequisites for pinpoint precision and enables accurate process diagnostics. SOMAS also offer solutions in the form of manual actuators such as hand levers or gear units. 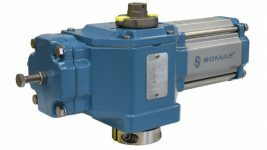 SOMAS pneumatic actuator type A is designed for control- and on/off applications. This actuator is primarily intended for use with SOMAS ball valves, ball segment valves and butterfly valves. Developed for SOMAS valves where the need for torque smaller is. 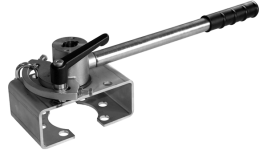 Single acting actuators come with a opening/closing spring function installed. Developed for SOMAS valves with a greater need for torque. Low friction and backlash-free connection are features which optimize the control performance. SOMAS actuators can be equipped with all necessary accessories to achieve the desired functionality. 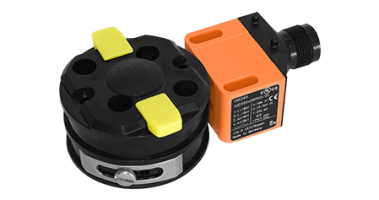 Valve positioners are a common accessory for our control valves. SOMAS valves offer 80 – 90 degrees of turning. However, in many systems it is not advisable to increase or decrease the flow too quickly. For valve sizes larger than DN80 the use of hand lever should be considered very carefully. A gear unit can be used on all valves in the SOMAS portfolio and is available in several different sizes. 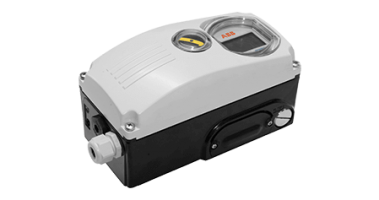 The unit has adjustable end-positions and a visual indicator for the current position of the valves. Hand levers can be used on all SOMAS valves. The hand levers have adjustable end-positions and can be locked in either open or closed positions. 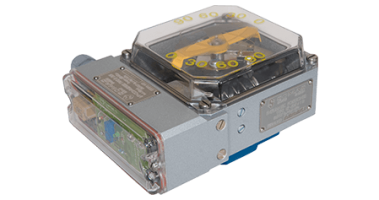 SOMAS manual actuators can be equipped with various accessories such as a locking mechanism and limit switches. The locking device locks the valve in the chosen position. When a valve needs to be operated remotely, or is used frequently, it needs to be fitted with some type of actuator. If you cannot find the actuator you need in our own product catalogue, we can also deliver actuators from other well-known manufacturers according to your wishes. SOMAS actuators can be equipped with all necessary accessories to achive the desired functionality. Valve positioners SP405/SPE405 and TZID-C are the most common accessories for our control valves. 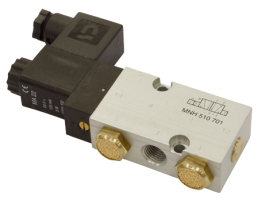 There are also solenoid valves and limit switches for use with our on/off valves. 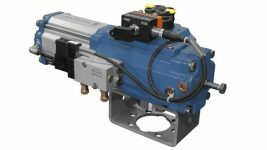 SOMAS pneumatic valve positioners are used with actuators that offer 90 degrees of turning. It can easily be fitted on SOMAS selection of actuators. Control of the air supply for on/off-applications is achieved with the help of solenoid valves that are fitted directly on to the valve actuators. SOMAS offers a variety of different solutions that include micro switches and various types of inductive sensors. Beyond the accessories already mentioned there are also fitter-regulators, switch-boxes for limit-positioners and specially engineered solutions. All development and manufacturing of SOMAS valves and other products is done in-house by our own employees. Therefore no one knows our products better than us. We guarantee that the job will be done as professionally as possible which is important for you as a customer. Below you can find out more about what we offer within various areas. It is entirely up to you to decide what type of maintenance you need from us. We can handle repairs both on location and in our own service workshop. We offer replacement valves either brand new, or refurbished with a “good as new”-warranty. Do you need assistance with removal or set up of our products? Contact us! SOMAS delivers products that are in accordance with the customers wishes as well as the various requirements presented by administrative authorities. Quality is a central term for us in regards to our customers, suppliers and ourselves. Do you want to know which product certificates we currently have? Find out more here!